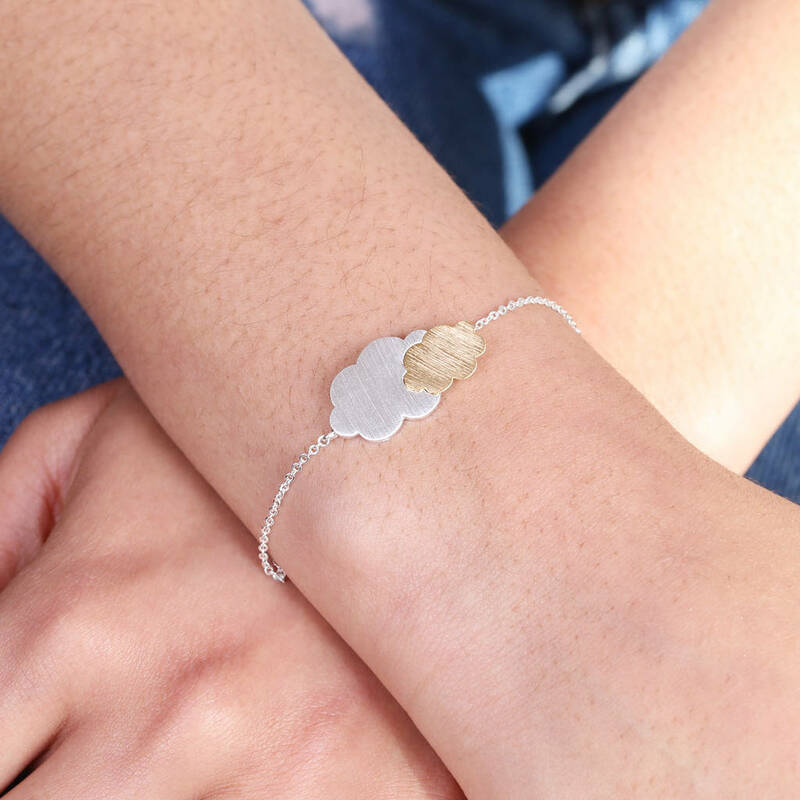 A gorgeous mixed metal bracelet featuring a double cloud pendant, from the Lisa Angel Jewellery Collection. 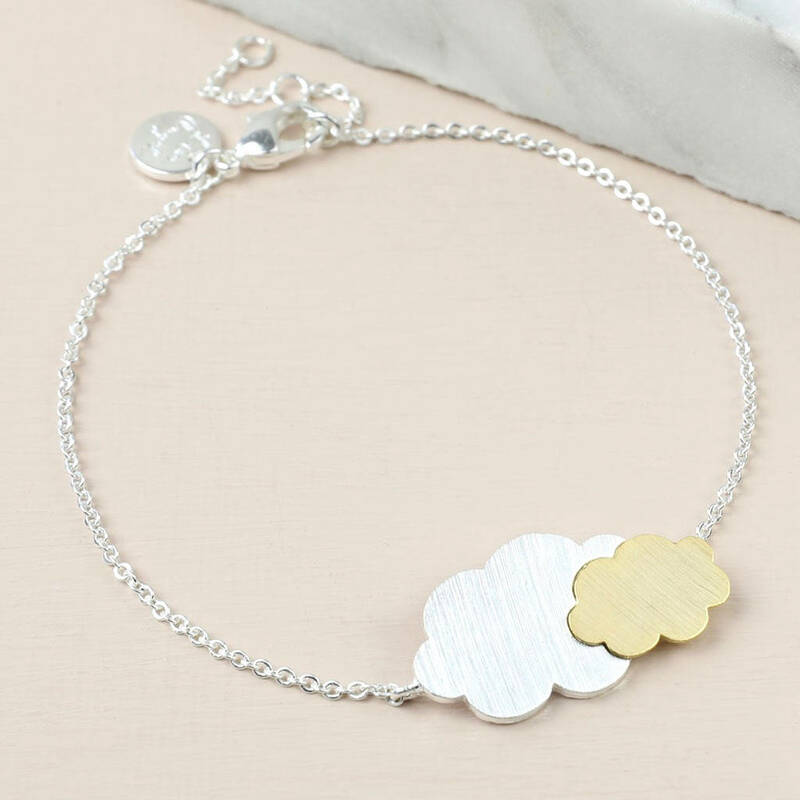 This bracelet features a large sterling silver plated brass cloud pendant with a smaller 18ct gold plated cloud pendant fixed on top. This stylish pendant is linked on each side to a tracel chain which fastens with a lobster clasp and has multiple extender links. This bracelet would make the perfect delicate gift for her, and can be worn with just about anything!